4S Ranch is an upscale planned community conveniently located near all of the great things San Diego has to offer. Just to the north is the world famous San Diego Zoo’s Safari Park, just to the west is the gorgeous Pacific and just to the south is beautiful Downtown San Diego. 4S Ranch is renowned for its cutting-edge building styles. The architectural designs of the homes include Traditional, California Craftsman, Cottage, Mission, and Ranch style. The numerous floor plan options appeal to all ages and lifestyles, contributing to a greater sense of community and connection to the natural environment. The master plan for 4S Ranch calls for construction phasing of multiple neighborhoods offering a wide selection of attached and detached properties. From first time buyers to people looking for large luxury homes, there is a neighborhood perfect for every need! Surrounding the homes of 4S Ranch are neighborhood schools, a variety of parks, and miles of walking trails. The acclaimed Poway Unified School District serves the educational needs of 4S Ranch where innovative teaching programs and a strong tradition of academic excellence combine to help these schools rank near the top of the state in recent studies. Furthermore, the 4S Branch of the San Diego County Library is located here which includes a host of after school activities and homework resources. 4S Ranch features two elementary schools, a middle school, and a high school. Recreation is also an important part of the 4S Ranch community lifestyle. There are numerous parks including 4S Ranch City Park, Heritage Park, Pioneer Park, 4S Ranch Sports Park, and Patriot Park. There is also a 25-acre community park which offers Little League, soccer, tennis courts, basketball courts, and a Boys and Girls Club. Finally, 4S Ranch offers 10 miles of scenic walking and biking trails in a permanently protected wildlife habitat and there are numerous world-class golf courses and country clubs nearby including Rancho Bernardo Inn Golf Course, Country Club Rancho Bernardo Golf Course, Oaks North Golf Course, Maderas Golf Club, and Stoneridge Country Club Golf Course. 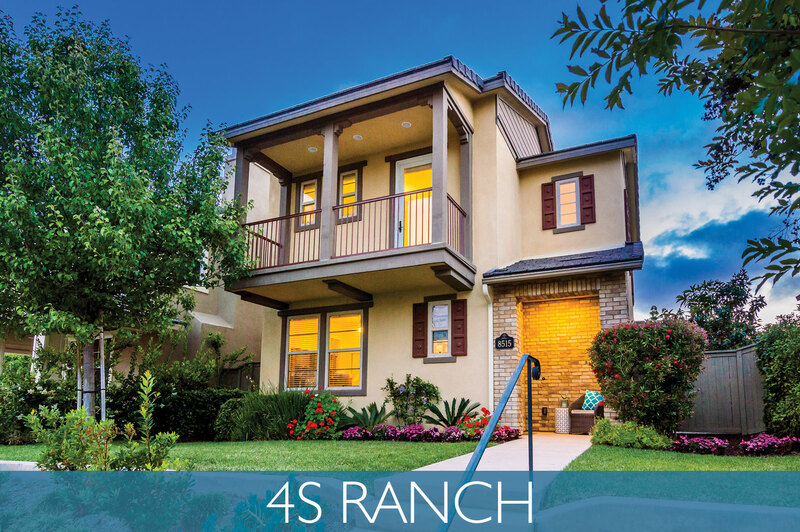 At the heart of 4S Ranch is a traditional town center aptly named 4S Commons which boasts a variety of restaurants, retail shops, professional services, supermarket, and day care. There is also a neighborhood network called 4S Connect. 4S Ranch is a Cox Preferred Digital Community featuring broadband, high-speed service that allows parents to connect with teachers or enthusiasts to connect with their hobby groups and clubs. There is also a community calendar so residents can stay up-to-date on the latest 4S Ranch activities and events.